Well darling readers, I am back from a birthday weekend and feeling nothing short of gleeful! Of course, few things are ever perfect–John's been working like a mad man before school starts, and I was forced to share him with the bar this weekend. After a very long Friday, I grabbed a bottle of Sauvignon Blanc and a few avocados from the nearby Whole Foods; this salad with grilled corn and Parmesan shavings, and a big glass of wine, was exactly what I needed. Then I drew a bath that was so scalding hot that I had to eject myself from it twice to avoid fainting dead away, and jumped in the car just after midnight to bring my sweetheart home. He sang "Happy Birthday" the moment he hopped in, and after a little late night snack, we curled up for bed. John was up early on Saturday morning, and in a treat that's ever rarer these days, I slept in! I opened letters with birthday wishes and waited for a package from my parents (full of my favorite thing, books!) before throwing on a t-shirt dress and taking advantage of the unusually gorgeous day; I breakfasted alfresco in Hayes Valley, strolling through the neighborhood before heading to Union Square for a little shopping! I checked a few "necessities" off my list and found a perfect pair of desert-colored loafers for fall before picking up John at Zero Zero and my birthday cake at Miette! He'd ordered a dreamy coconut mousse confection, and as we enjoyed the 49-Mile Scenic Drive home from the Ferry Building to the beach, we kept inhaling the heady scent of coconut through the pastry box! Finally home, we ordered an Indian feast, popped a bottle of Paul Bara Brut Grand Rosé and sipped from our favorite coupe glasses while we waited. After dinner and presents, we took a stroll for a jug of milk to pair with the coconut cake warming ever so slightly on the counter. One and a half pieces may have been a mistake, but that second sliver was too good to resist! Early to bed on Saturday meant an early start the next morning; the gray day practically demanded caffeine and empanadas at Hollow, and just as it started to drizzle, a table opened up inside! We started making lists, and soon were curled up under a blanket, diving through cocktail books and recipe collections. We managed to squeeze in a little snuggling and an episode of Frasier before I took John to work, then I swung by Andronico's for this week's necessities–berries, dry-farmed tomatoes, pesto, and Perrier. A little yoga, a bit of blogging and a light supper left me feeling focus and excited for the week to come–and incredibly thankful for the weekend. Tell me, what were you up to this weekend? And what sort of birthday celebration do you adore? 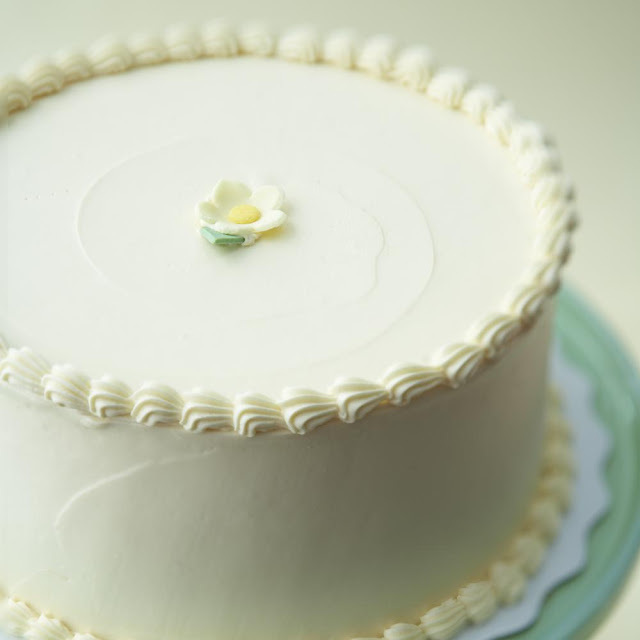 Lemon debutante cake from Miette. Ah Lena sounds like the best birthday ever! So happy you had a lovely weekend! Such a lovely celebration! I worked through my weekend. Sniff sniff. Sounds like an amazing birthday Lena! happy birthday pretty lady. i swear, your weekend recaps need to be published somewhere - you have such a way with words! happiest birthday wishes, my sweet! a coconut cake from miette sounds like absolute perfection. Happy Birthday! So glad to see John spoiled you a little bit. Wow, that sounds like a relaxing birthday!! My past few birthdays have been on the lackluster side, but I'm hoping my next is full of fun! Awww, a very happy belated birthday to one of the sweetest bloggers I "know"! The salad sounds wonderful (minus the chicken for me) - avocados and/or Parmesan just make everything better! I need to know more about this coconut confection!! How come I missed it was your b-day!!!! Wishing you a great new year and lots of amazing things!!!! is this the cake? looks amazing. indian food, bubbles, coconut cake...sounds like a good birthday! happy belated birthday! Happy belated birthday, girl! So sweet that John started singing to you as soon as he got in the car. Good man! happy belated birthday!!!! what a wonderful weekend :P I honestly wish you all the best my dear. THank you for being such a lovely and supportive blogosphere friend!!! Your birthday weekend sounds incredible! Happy belated, Lena! Sounds wonderful! So glad you had a fabulous birthday nothing like snuggles and coconut cake! Happiest of Birthday Miss Lena!! A day spent with avocados and a loved one is simply divine!!! Well happy, happy birthday! Hope it was magnificent. That coconut mousse cake is making me drool. Happy Birthday (albeit a bit late, so Happy Birthday Week)!! Indian food, wine, and cake. Sounds like absolute perfection! My friend celebrated his 29th birthday. We had cake and ice cream pretty fun. I think that as we get older we forget that we should do something special for our birthday. I mean it's our birthday.